Oh, I love this! Fabulous take on my tag! How clever too cut the snowflake from textured paper! 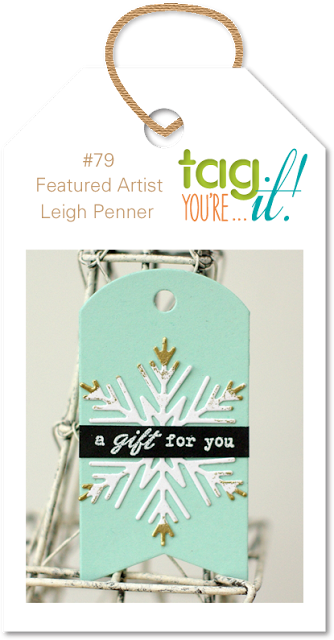 Terrific winter tag that you can slap on anything-- Xmas gift, hostess gift... Thank you for sharing at SOS this week. Thank you for sharing at Allsorts' "Cold and Frosty Colours", beautiful tag!